The Siberian council of elders really doesn't want the gate to the underworld to stay open. 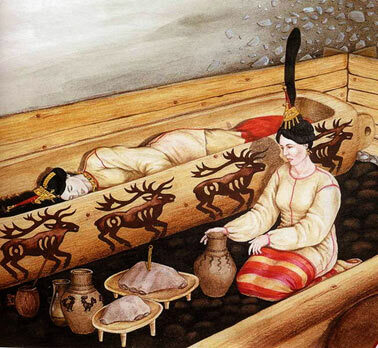 The Siberian Ice Maiden, also known as the Princess of Ukok, Altay Princess or Ochi-Bala, is to be put back in her tomb thanks to a campaign by Altay Region spiritual leaders and elders, who are worried that as long as she stays in the hands of scientists the gate to the underworld will remain open. Locals blame the removal of the Ice Princess for recent floods and earthquakes, and want her returned as soon as possible. "The council of elders has taken its decision," says councilman Akay Kine. "So the mummy of the revered woman will finally be buried." Nobody is entirely sure how; the scientists studying her are bound to object, legislation concerning the archaeological find will need to be changed so the mummy can be treated as simple human remains, and the council has yet to agree how the burial will take place. Some kind of ceremony is needed, but what? 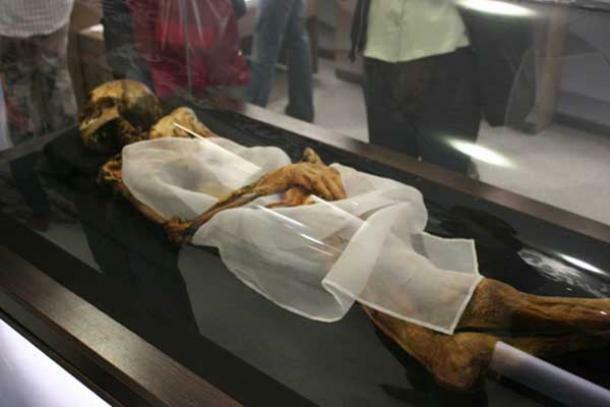 The Ice Maiden, discovered in 1993, is a 5th Century BCE burial, over 2,500 years old, and is one of the most significant recent Russian archaeological discoveries. Also one of the most controversial, as local activists have fought to prevent further excavations at the site and to return the body to its tomb. 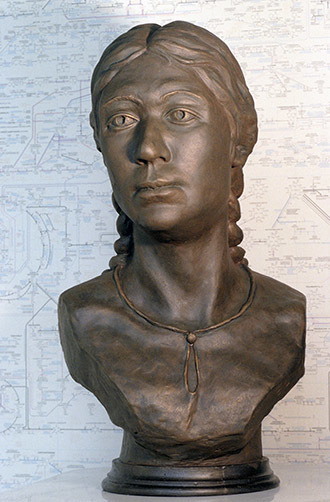 The facial reconstruction seen here represents part of the problem; though the artist recreated what appears to be a Caucasian face, with no Mongolian features, Altai experts complain the artist made her completely European. 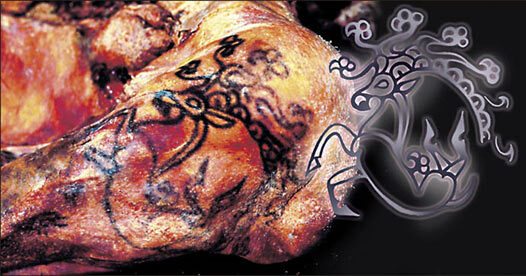 DNA testing has since confirmed the Ice Maiden cannot be an ancestor of the people living in the Altay Region now, and has more in common with Germans or Basques than the Altay people. You fools! If the underworld is open, we have a chance now to take back what is ours. Someone give Liam Neeson a proton pack and send him in there to grab Robin Williams. Then when he dramatically leaps out the entrance with the legions of Hell at his back we can finish the burial and secure everything in it's rightful dimension. Good point. Well, we'll give him a big bag and he can pick up anyone he wants. Mummy was dug up in 1993. Recent seismic events is interpreted by the locals as a sign it wants to go back. 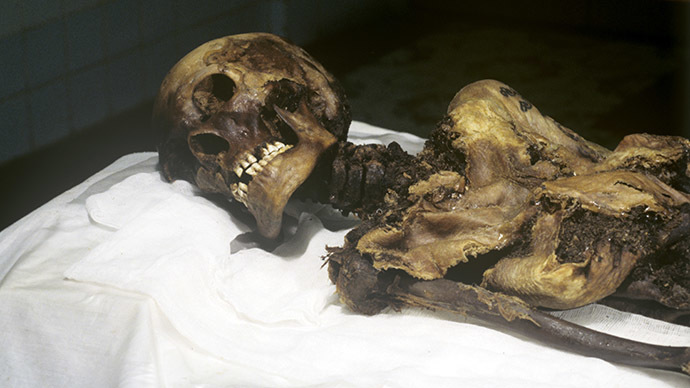 DNA and facial reconstruction confirm that the Mummy wasn't even a local. Oh, come on. Nineteenth Century Europeans ground Egyptian mummies into powder to be used in herbal medicines and as paints. The Pharaohs, who's tombs weren't looted within a few decades of their burial, also were dug up and, along with their treasures, were paraded around the world for elementary schoolers to gawk at in museums. You never heard of Anubis's evil army from the second Brendan Fraiser Mummy movie laying siege to Northern Africa and Southern Europe in retaliation for the even more blatant desecration of the dead. I think the Hell gate will play nice as long as no one turns her into a handbag. Still, maybe her spirit is convincing scientists to drill all those near-purposeless bore holes all over Siberia? They should have no say in the matter whatsoever. Science and history belong to everyone, and the ignorance of some should get in the way of knowing and understanding. Hm. I guess the US isnt the only nation with the problem of undereducated old men calling the shots. Calm down, it's just the underwold... It's not Cthulhu, We can manage this easily. Well these elders clearly played the latest Tomb Raider game. Question: Does this re-burial tie in anywhere at all with the big holes in Russia now? Like, is that what they are in fact talking about, or at least including with the flooding and quaking? I don't think so. I had the same thought, but as far as I can tell the two events are taking place in different regions of Siberia. It's a pretty big place, after all. This would make a badass story, the king of the under-world wants his wife back and anyone else he can get his claws on! Also, that is a bitchin tat. Ah, more superstition standing in the way of science ability to observe things. so what your saying is that mummy movies werent documentaries? What evil scheme are you playing on us! Don't you understand you fool? Climate change isn't being caused by greenhouse gas emissions! It's the curse of Ra! He'll turn up the temperature of the earth and melt the icecaps until we rebury the ancient Pharaohs and their treasures, and sacrifice a virgin goat in his name. So called 'climate science' is a conspiracy created by a secret society of museums to cover up their crime that has doomed us all. We must listen to these Siberian Elders! They know the truth! From what I've read from most of you in this thread... People aren't allowed to believe what they wish? You take someone's 'religion' or personal beliefs and ridicule them... Why can't they simply follow their own path? Allow them to do what they wish? Let them believe whatever they want? People ridicule and mock what they think isn't right.. Bully's of the internet. Burying knowledge over stupid superstition is very mockable. They can believe what they want but I prefer science over obscurantism.